Is the clutter in your home or place of business piling up? 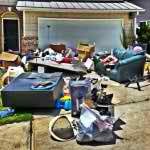 Has the junk become so overwhelming that you can’t ignore it any longer? Stressing about what to do? Well, my friend stress no longer! I have the answer to all your junk and clutter problems. The Stand Up Guys Junk Removal Crew. 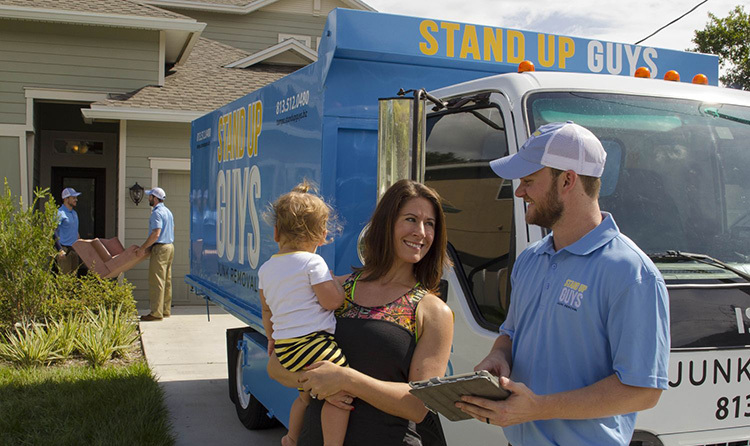 The Stand Up Guys are the #1 junk removal in all of Tampa and that includes Palma Ceia. 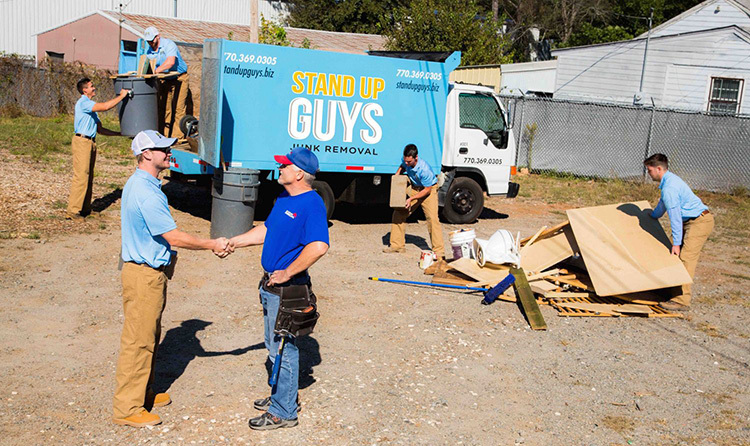 Getting rid of your junk or clutter with the Stand Up Guys is so simple that anyone could do it. All you have to do is pick up the phone and call us, or even book online. 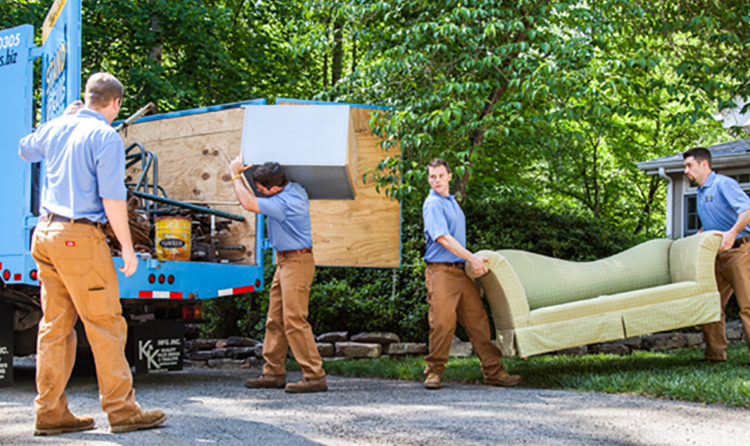 Once we come out to see what you have, we’ll offer you a free estimate on removing EVERYTHING. Once the price is set, all you have to do is sit back, relax and watch as your junk disappears. The Stand Up Guys cover all of Palma Ceia, from Bayshore to Plant High and everywhere in between. We’ve earned the respect and reputation with the residents and wonderful businesses of Palma Ceia over the years because of our efforts towards great value, an amazing customer experience and the fact that we’ll take pretty much anything. Palma Ceia is one of the most beautiful neighborhoods and districts in all of Tampa. Located just south of Downtown. Palma Ceia is known for it’s beautiful brick streets and the famous Palma Ceia Design District. When it comes to Tampa living, you can’t beat Palma Ceia. With its incredible scenery, countless outdoor activities in the community, good schools, low crime and walking distance from Downtown it’s hard to beat. 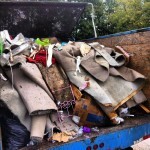 Last week we got a call into our Stand Up Guys Junk Removal Headquarters from a repeat customer of ours. Her name is Sue. Sue has used the Stand Up Guys ‘junk removal Services‘ countless times for different projects around her home in Palma Ceia. This time she was calling because she and her son had pulled out some old railroad ties from the back yard over the weekend. They placed the railroad ties next to the street, thinking because it wasn’t a terrible amount of stuff that the garbage company would pick it up. She was wrong, the garbage company drove right passed it and paid it no mind. Sue lives in a beautiful neighborhood in Palma Ceia and the people there like it to stay that way. So when anything is placed outside that hurts the curb appeal of the neighborhood, people aren’t happy. Before her phone started ringing with angry neighbors, Sue made a call into Stand Up Guys to nip this problem in the bud before it became an issue. After hearing about the situation, Casey reassured Sue that The Stand Up Guys would have her junk removed asap. He knew that this was something that needed to get done same day, so Casey put a call into all the trucks that were deployed at that time. He wanted to find out who had the time and space in their truck to pull this job off asap. Ray was right down the street in Hyde Park when Casey called him. He informed Casey that he was finishing up the job he was at now and could head over to Sue’s in Palma Ceia within 30 minutes. As soon as he got off the phone with Ray, Casey called Sue back and gave her an estimated time of arrival. She was already very pleased. Thirty five minutes after her initial call into the office, Sue had a Stand Up Guys Junk Truck outside her home in Palma Ceia. Ray pulled right up to the pile of junk, hopped out, chucked it all in the truck and road off. It was that simple and that quick. We did all this while Sue was at work. We let her pay over the phone, and even sent pictures to her email to show that the job had been completed. Sue couldn’t have been happier. She got her junk removed and the stress of her neighbors knocked out before she even came home from work.